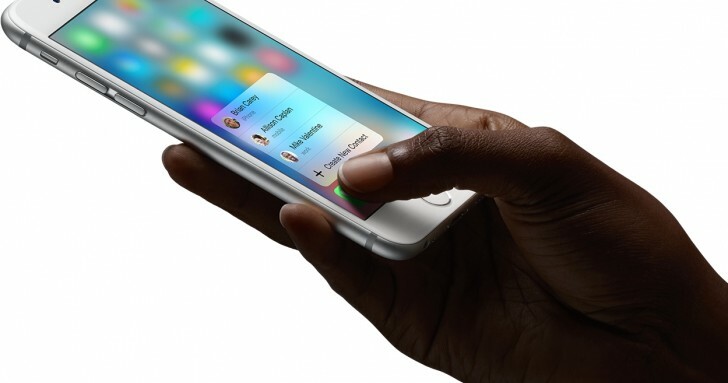 Editorial: Did Apple give up on Force Touch? Apple has always prided itself with innovation. Among the company's latest achievements to go under this category is the Force Touch feature introduced with the Apple Watch, and later found its way to the MackBook. The iPhone 6s and iPhone 6s Plus also sport a similar feat but under the 3D Touch moniker. We should note that the difference in the names isn't random and digging through Apple's patents shows that the two do the same thing, but 3D Touch is more sensitive and reacts immediately, whereas ForceTouch is slightly less capable of measuring touches and presses. It also reacts slower. But let's not get into semantics here - what was hard to ignore is that Apple didn't mention anything regarding its pressure sensitive screens at its event yesterday. Neither the iPhone SE nor the iPad Pro 9.7 have it, while iOS 9.3 and watchOS 2.2 updates don't bring any new features or fixes for it. And iPhone 6s and 6s Plus users know there's a lot more to be desired. The missing of any news regarding Force Touch begs the question - is Apple about to backtrack on the feature? Every software company knows that new features are a risky endeavor and it might take time to realize its full potential. To do that you need to have developers on board and that's achieved by constantly pushing it into the users' focus and convincing them to use it. In the case of 3D Touch for the iPhone 6s duo, Apple bet big. The feature required a change not only on the hardware and software fronts but also in the users' habits. Sadly, there's no research that we know of that dwells on the user satisfaction and adoption of 3D Touch. With yesterday's event, however, Apple clearly showed one of two things: either 3D Touch for mobile phones isn't as successful as initially hoped or the feature is impossible to implement on the smaller iPhone SE due to cost or space limitation (but then why didn't the iPad Pro get it?). The pending patent infringement case against Apple's technology could also be the reason we haven't heard anything about it yesterday. We'll find whether Apple has given up on 3D Touch at the company's Fall event. There's a bummer. I was under the impression the SE had the 2nd-gen touch ID. They could easily have put that in. Oh well, it's only gonna be my backup.